I couldn’t resist adding this recipe for Chocolate Truffles to make for the festive season. In our house you can’t have too many rum balls, apricot balls or chocolate truffles – the more the merrier. 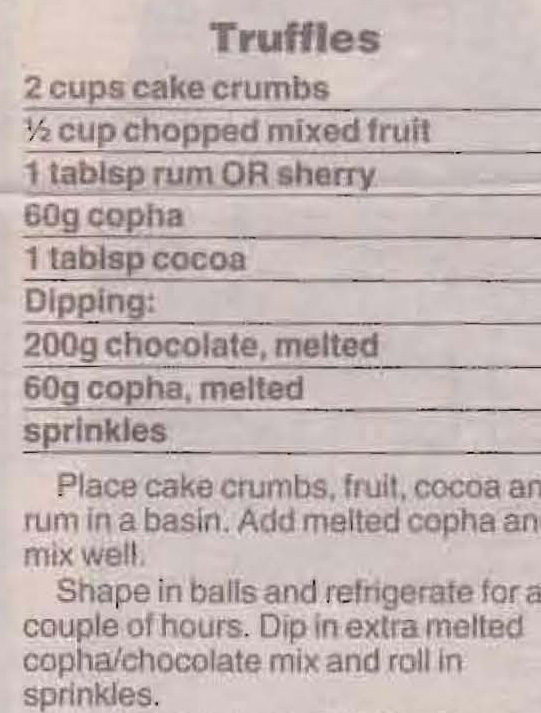 This entry was posted in All Recipes, Biscuits & Slices and tagged 1990s, cake crumbs, chocolate truffles, cocoa, copha, mixed fruit, rum, truffles by bebsrecipes. Bookmark the permalink.